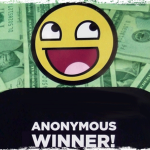 Online Lottery Winners – True or Fake? Where Are the Online Lottery Winners? It’s easy to see lottery winners online when it is the big jackpot or even the second place win. The lotteries themselves publish the information. But what about other tiered prizes? What about online lottery winners in general? There are so many sites that claim a winner but with a little investigation, it is proven that they simply went to a local retailer and bought a ticket. Where are the online winners? Online Lottery Winners – Are they For Real? Talking to some of the online lottery service providers, they are fast to claim that they cannot reveal any information relating to their winners as a matter of privacy. I had a great chat with ‘Valerie’ at Wintrillions.com who totally agreed it was frustrating for people who wanted to know further information. They won’t release any details though did agree it was fair to say that most wins are smaller to mid-range. TheLotter.com was also very firm that they also could not share country statistics, names or any contact information of winners. They were very upfront about this at the same time were adamant that the winners got paid on a timely basis. There is no question that lottery service providers that have ‘live chat’ are rather reassuring as there is someone there to respond to questions as they happen. TheLotter.com also gives you the option to have them send a copy of your live chat. Sometimes, it’s what they don’t say that actually says a lot. Our team has been through so many different online lottery service providers that claim that a winner did it through their site or using their system. In all cases, our team has been able to verify that the person won the big jackpot by simply buying their ticket at their local retailer. Reading through Playhugelottos.com’s customer testimonials was like touring the world with such a variety of countries listed. Of course, part of me takes this all with a grain of salt. I mean, anyone can post anything they would like including the company itself. But, the comments there were supported by what our team has found out for real. Their online email form also is available in all the languages of the countries listed in their customer testimonials. I’ve been playing lotteries online for several years now. I have my personal favorites and the only systems I use are playing the same numbers regularly plus I am in one syndicate. I like playing online as I have an auto-renewal for my regular numbers. I have had no problems receiving my winnings and the great part is that though I haven’t won that big jackpot yet, I have won enough to keep playing. I’m actually ahead right now with a little nest egg that is funding my playing plus has taken out a few dollars to buy myself the odd treat. Our team continually goes through a variety of complaint sites to update our investigations. We do appreciate that people want to feel confident about who they are going to play with especially in getting winnings. The sites that we recommend as trusted have proven themselves to us over and over again. My account with TheLotter.com underlines that! Have you won something online? Share your story here. Thank you for this information it was helpful and useful also the comments thanks everyone. I’m kind of surprised. You mentioned that some sites claim to have a jackpot winner and your investigation shows that it was a lie. 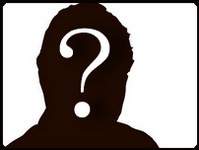 Being that your trying to help out all of us by exposing fraudulent sites, why not tell us who those lying sites were? thanks.